Life of a Catholic Librarian: Tea Time with Tiffany #18 - Confession! 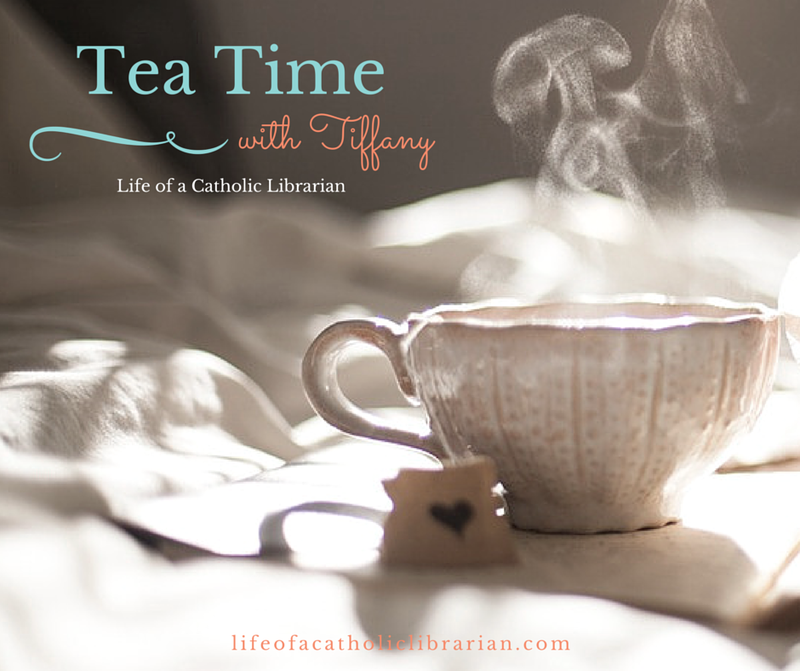 In this episode, I talk confession, and why I find it so difficult to go sometimes. I also relate my experience this week, and the story involves a guardian angel lady and a very sweet ending, so I hope that you'll tune in! Caveat: something WONKY was going on with my web cam in this video, and can I be honest? I don't have the energy to re-record. :0 I am imperfect, and so are my videos. That's right, I MEANT to do this to further bring home my point about the need for confession. ;-) But my blue cowl takes on a mystical quality throughout and changes hues from light to darker. It's really quite distracting, my apologies. We'll just call it the Holy Spirit coming down to enlighten us and call it a day, yes? Confession app for Android. I'm not necessarily recommending it, since I've had technical difficulties with it, but it's a good concept. Then again, this is me. I have technical difficulties with *everything*, so maybe the problem is me?! :0 But I do love the included Examination of Conscience, it's very helpful. Do you have any confession experiences or tips to relate? Any upcoming novenas that you're looking to pray? Chime in! Confession is on my to-do list this weekend, and I'm always leery of going. When I went through RCIA we were supposed to talk about confession one day, but the deacon had to leave early and just said, "just go in there and tell Father you don't know what you're doing." Hello, anxiety! Even though I've been lots of times now, I still feel like I don't know what I'm doing. Anyway, I recently learned that my grandfather most likely secretly baptized me as a baby, and the implications of that just hit me: I never confessed all of those sins that I committed BEFORE my baptism at 27. I figure I better get in there and do it just in case! I got some bad ones! Your confession adventure reminds me of something that would happen to me. I am not assertive or especially persistent usually, but I love it when I meet up with someone who is! I always think I'm bothering people by asking for something. One time I was able to muster up the courage to be persistent. I got to the parish about 15 minutes before confession was supposed to end, and the person who was in there was taking a long time and there was no time for me. As Father came out, I ran up to him and asked him if he would hear my confession after mass and he agreed! My experience with confession as a cradle catholic is varied and wonderful. From searching it out at out of town churches to asking the priest at a wedding reception if he'd walk into the courtyard and hear mine. My experience with confession is so good that it has been a grace that, when I sometimes feel troubled to go, that I know it will all be good in the end. At my home parish of 30 years, I think of the good priests who have given our Lord's absolution to me during my teen years, my single years, and now my husband & father years. What a journey. There is a tendency to go in with the feeling that it is chiefly a "pulling out of the scorecard" with God and not the source of His love, strength & peace that it is. This is still part of my journey. What helps me here is the thought that we are not so much groveling before God in this sacrament as we are opening the door of His infinite Mercy, which is born of more love than we can understand. Wish I had time for all the confession stories. I could tell a few, but it must mean that this sacrament has been important to me. And I think that, in our diocese, it's enjoying a renaissance. And am so glad that it's rubbing off on the kids. Hey Phil! So nice to see you here, my friend. Thank you for relating your experiences with confession. 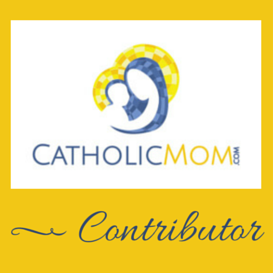 I'm a cradle Catholic too, so you and I share the experience of having lots of memories of it! I've always been a bit scrupulous, and I think that's part of my struggle with it. But overall, I do cherish that feeling I receive after attending this sacrament - such a rush of joy. I love what you wrote about how this sacrament is "opening the door of His infinite mercy, which is born of more love than we can understand." So beautiful, and so absolutely true. Hey, Tiffany. I went to watch today's video, and I noticed that #18 has been replaced with #16 from a couple of weeks ago - ?? Hi Cindy, hum...that shouldn't be happening. I'm still seeing #18 as it should be. I'll have a few other people troubleshoot!